Draff is the state that barely ends up in during the whisky making process. It all starts with barley, we focus on it during germination, kilning and milling. Then, comes mashing – and our focus shifts to the water filtering through the grist. This hot water becomes filled with sugars that are being “strained out” the grist. This sugary water is now called Wort, and becomes the focus of our attention. 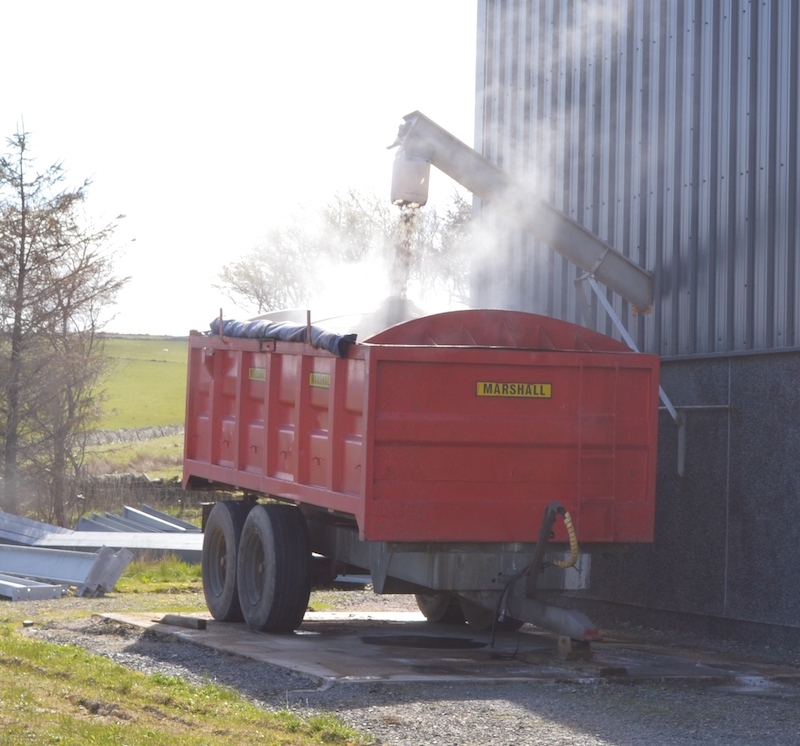 The crushed, washed out husks of barley are no longer required, we have extracted from them what we need. We call these wet crushed barley skins “draff” and feed it to our cattle. Draff contains various proteins and very little sugar, and the coarse husks are excellent roughage. Pot ale syrup used to be mixed with draff to make good feed, or to be spread on fields as a natural fertiliser. Now it’s disposal is closely monitored and regulated, and has to be licensed and SEPA approved. In the past, farmers would informally come to the distillery with their trailor and get a load of draff. Now draff, pot ale and spent lees disposal is big business. It is a chemical industry in itself, and an important part of CO2 emission equations.